Processor Manufacturer: AMD A6-4400M 2.70 GHz Dual-core (2 Core), Chipset A70M, Memory 8 GB DDR3 SDRAM Max 8 GB, Card Reader, Memory Stick PRO, xD-Picture Card, Secure Digital (SD) Card, MultiMediaCard (MMC), Memory Stick, Hard Drive 500 GB Serial ATA 5400 RPM, Optical Drive DVD-Writes supported: DVD-RAM/±R/±RW, 15.6" Active Matrix TFT Colour LCD Backlight Technology LED, Graphics AMD Radeon HD 7520G DDR3 SDRAM, Network & Communication : Wi-Fi Manufacturer Atheros ,Webcam, Microphone, Speakers. 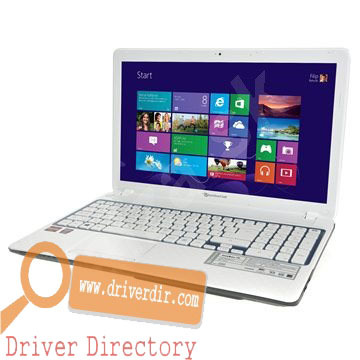 Download links for Drivers Packard Bell EasyNote EN TV44CM Windows 8 is provided by DriverDir.Com a Drivers laptop and PC encyclopedia. "All of the links in this site, are connected to official website of laptop and their name of brand, so all of contents in this this site are legal, and will not damage your laptop or your hardware."